Since then, I’ve read many good books and written a few reviews. I went to Omaha and got sick and then broke a rib coughing. (Seriously, that’s a thing.) My team went to the Final Four (Rock Chalk!) and lost. Sometimes, it’s someone else’s year. Fortunately, no matter what else is going on, we always have books to entertain us, divert us and make us think. 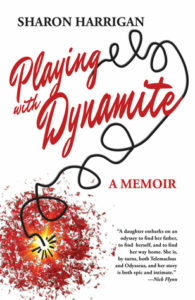 When Sharon Harrigan, the author of Playing with Dynamite sent me a review copy, I was intrigued. Harrigan’s father died when she was a child in Michigan. He had a car accident on his way to hunt deer. As an adult, she sets out to unravel the story behind her father’s death. You can read my Goodreads review here. I especially recommend this book for women who grew up lower middle class or in rural areas and whose aspirations set them apart. 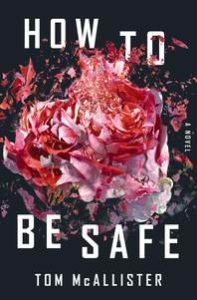 How to Be Safe, by Tom McAllister, is a challenging book. It’s about a school shooting, and I started it soon after the deaths in Parkland, Fla. When I read the novel – a satire – I thought the timing was just unfortunate. Given the rate of school shootings lately, perhaps there’s never a right time? McAllister does many things well, and some readers will find the tone exactly right. The book has received many raves from critics. I reviewed it for The Dallas Morning News. Last year, I reviewed Amy Poeppel’s debut novel Small Admissions and thought it was terrific fun. 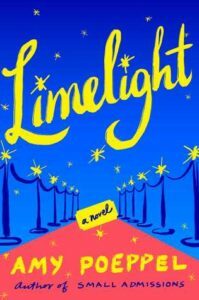 She’s back this year with Limelight, about a Dallas woman who moves her family to New York and finds herself helping a pop star prep for his Broadway debut. If you’re in a book club – especially a book club with moms of teens or tweens – I think your group will enjoy this novel. Theater moms will love it, too. So will teachers. And the judgy moms can pick apart the character’s parenting. Really, there’s something for everyone! You can find my Dallas Morning News review here. What else am I up to? After many setbacks, I’m back to revising the manuscript of my latest novel, Boys I Have Dated. Wish me luck!